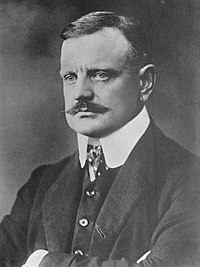 Cumadóir ceoil a rugadh i Hämeenlinna (Sualainnis: Tavastehus) na Fionlainne ab ea Jean (Johan Julius Christian) Sibelius (1865–1957). Náisiúnach díograiseach, a chum sraith mhór dánta siansacha a bhí bunaithe ar mhioneachtraí as eipic na Fionlainne, an Kalevala. I measc a shárshaothar tá 7 siansa (mhill sé féin an 8ú ceann), dánta siansacha, Finlandia (1899) go háirithe, agus coinséartó don veidhlín. Tugadh an leathanach seo cothrom le dáta an 25 Eanáir 2017 ag 16:09.